You have drawn drawn the cross as your Single Love horoscope for today. 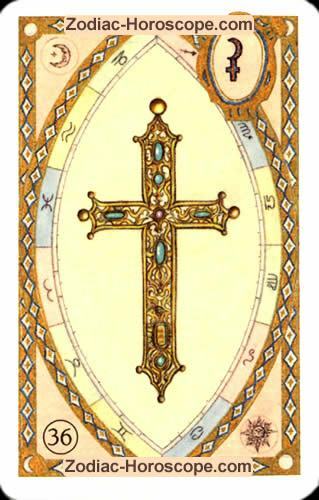 The cross is a negative card, so the day today will also have a negative tendency. It is the planet The black moon which will influence you today. Today, a little misfortune will happen to you. You will get to know a person today, which you would like to close directly into your heart, but this potential partner will turn out to be complicated.